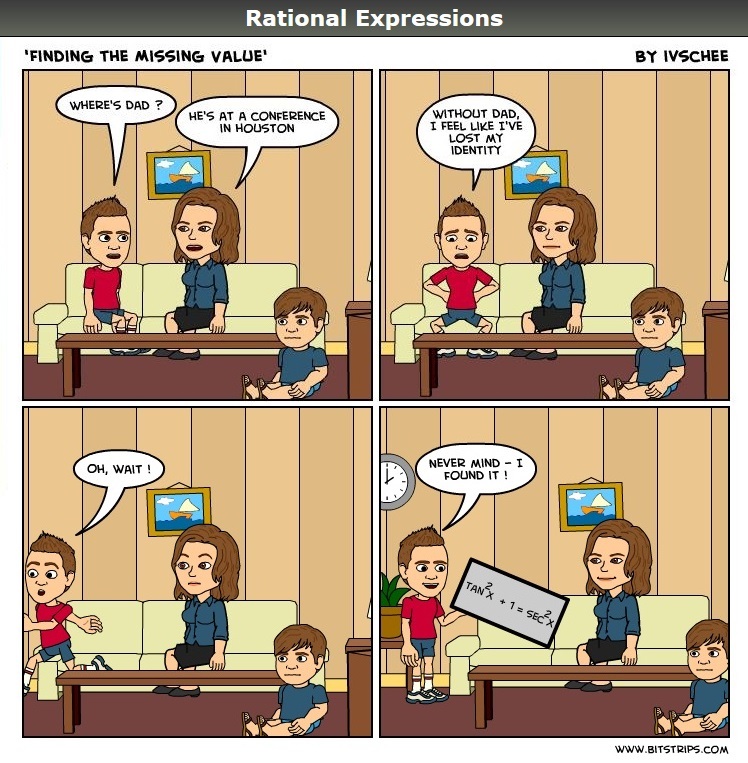 Posted on October 15, 2018, in Rational Expressions - A Comic Strip. Bookmark the permalink. 2 Comments. Haha very funny, I miss this class :(. Hope you’re having a good year so far!!! Hey, Riya! Thanks for the comment! I miss you too. Hope you get a chance to visit soon! I hope your year is going well too!